Rarely does one start an interview worrying about not being able to survive it. While speaking to Japanese fugu chef Masato Sawahara through an interpreter, platters of tessa, or thinly sliced puffer fish sashimi, with all the accoutrements, arrive on the table. Already a little uneasy about being served fish that, ill-prepared, can land 30 to 50 people in hospital every year and has claimed more than a few lives in Japan, I’m not comforted by 43-year-old Sawahara playfully mock-retching on the side just as the first bite is taken. Fuku Fine Fugu Kaiseki Restaurant at Mohamed Sultan Road had attempted that in 2014 but didn’t get far before folding, and now Guenpin, the first franchise outside Japan for the restaurant chain, is trying again, proving local gourmands possess far more daring than I for playing Russian roulette at dinner and have developed an appetite for deliciously dangerous delights. But fugu is perfectly safe for consumption, Sawahara emphasises. The fish aren’t inherently poisonous; they accumulate toxins from bacteria in the algae and shellfish they feed on, hence farmed fugu can be reared to contain minimal poison. But since both farmed and wild-caught puffer fish can contain potent tetrodotoxin in the brains, eyes, liver, intestines and ovaries, chefs may be required to train for years to master the skills for removing those organs without error — one tora fugu (the tiger puffer fish) holds enough toxin to kill 20 by paralysis and asphyxiation, and there’s no known antidote. “This technique [of preparing fugu] is 100-percent certain, so the fish we prepare is completely safe,” he says. Still, fugu is banned in the European Union and US outside New York City, and the Japanese head of state had been prohibited from eating fugu until 2007, according to Sawahara — but if it’s now deemed safe enough for Emperor Akihito, it must be safe enough for everybody else. While the chewy fugu doesn’t boast much in the way of taste (it’s enhanced by generous amounts of ponzu sauce, scallions, wasabi, radish, and — Sawahara’s signature — grapefruit, whose sweet and sour notes complement the fish), it’s likely the exhilaration of risking death that heightens the dining experience. Sawahara, who got his start at a fugu restaurant after graduating high school, has through his career received requests from thrill-seekers for fugu laced with just enough poison to tingle the lips and set hearts racing. Serving the liver, however, is illegal because of the high poison content, though with its creamy texture and banned status, it might as well be considered the forbidden fruit of the aquatic realm. In 2016, the Osaka District Court handed Sawahara an 18-month prison sentence and a three-year suspension when his restaurants were found to have acquiesced to diners’ demands for puffer fish liver, though he was certain it contained no poison. 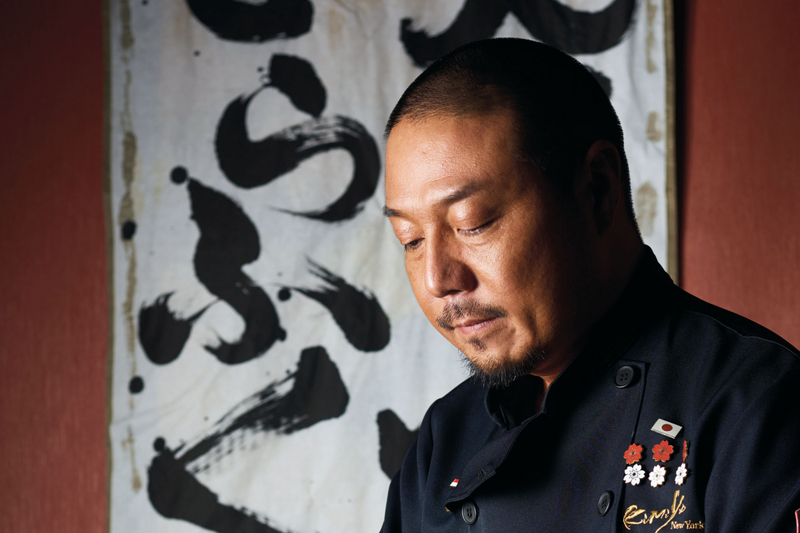 Calling the practice an open secret, he believed he was made an example because of the renown of his restaurants, which altogether serve more than 60,000 members. With research and refined farming methods, efforts by Japanese fisheries and university laboratories to breed non-toxic fugu appear to have found enough success. Calls for fugu liver consumption to be made legal have therefore become louder, though the movement faces opposition from licensed fugu chefs and the nation’s fugu lobby. “It’s risky to allow farmed fugu liver to be served legally,” Sawahara concedes, adding that Japan’s Ministry of Health, Labour and Welfare should set a benchmark for the amount of poison permitted in the liver for consumption, and the organ ought to be tested before it’s plated.